The other day I was preparing a powerpoint presentation on Liberia for a group of people interested in this country, but hardly familiar with it. For this purpose I was doing some research on Liberia’s flora and fauna and I was again heavily impressed. I thought it might be useful or interesting to share with you, the reader of this blog, what I found. 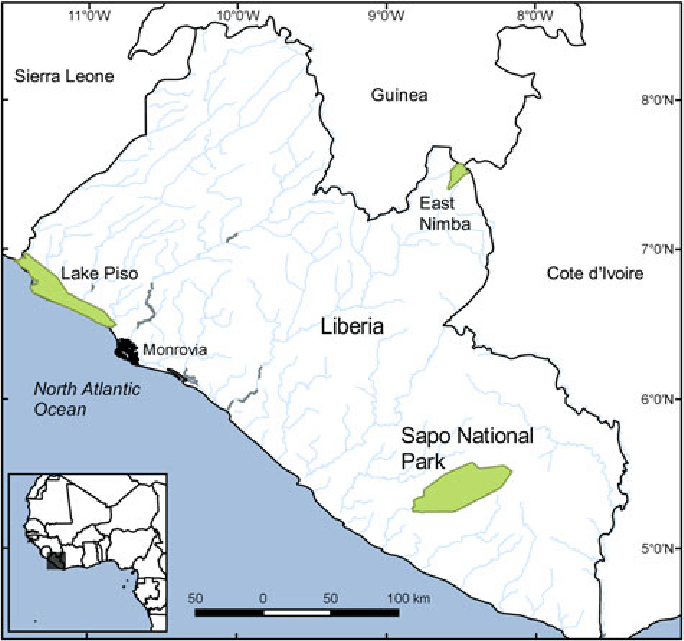 Liberia has an extremely rich biodiversity of flora and fauna – thanks to its tropical forests. Few people only realize or know this. It is estimated that 40 to 50% of the country’s surface is still covered with primary tropical rainforest containing over 250 different species. Liberia thus has West Africa’s largest tropical rainforest. This situation is closely related to the country’s tropical, hot and humid climate. As you may know, the annual rainfall – concentrated in the rainy season which lasts from May till October (!) – varies between 5 meters (200 inches) – in the capital Monrovia – and 2 meters (80 inches) in the interior of the country. Area covered by tropical rainforest in Liberia (source: https://www.telegraph.co.uk/news/worldnews/africaandindianocean/liberia/10104422/Liberia-and-the-vanishing-rainforest.html – accessed on October 24, 2018). Sapo National Park is home to about 125 mammal species, including elephants, leopards, giant forest hogs, chimpanzees, duiker antilopes and the rare pygmy hippo. In general, Liberia’s fauna includes mammals, birds, reptiles, fish, butterflies and moths. Among the mammals we particularly note the pygmy hippopotamus (Choeropsis liberiensis or Hexaprotodon liberiensis), a small hippopotamid (‘pygmy hippo’) which is native to West Africa. The pygmy hippopotamus lives primarily in Liberia, but small populations can be found in neighboring countries (Ivory Coast, Guinea, Sierra Leone). Furthermore, it is assumed that Liberia is home to the greatest variety of snakes on the African continent. Moreover, about 530 species of butterfly are known to be from Liberia, one of which is endemic. 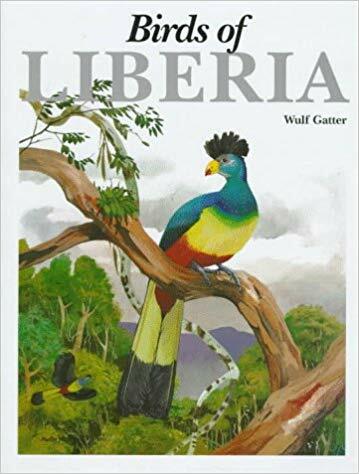 Finally, it is hardly generally known, but do you know that Liberia is an ornithological paradise or – in laymen’s words – a paradise for birds and bird-watchers? The avifauna of Liberia include a total of 695 species, including the bee-warbler, a bird only slightly larger than a bee. One of Liberia’s almost 700 species of birds is endemic, three have been introduced by humans and three are rare or accidental. 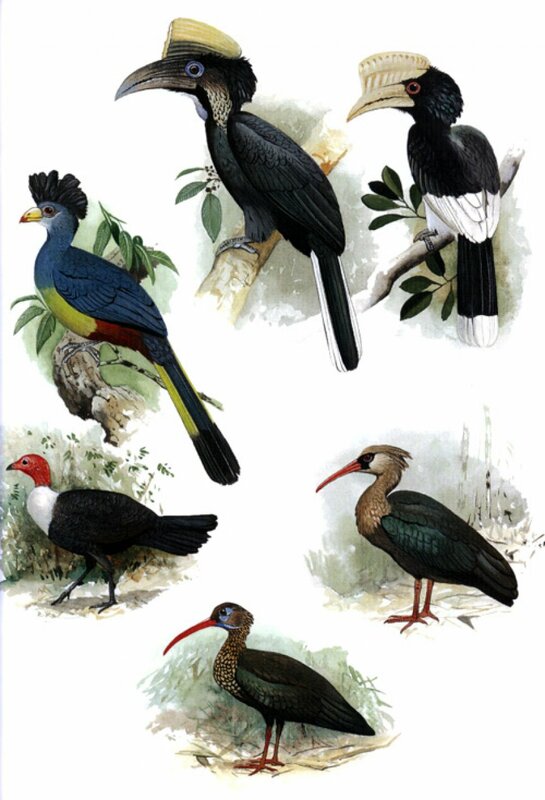 It is important to note that twelve species are globally threatened. 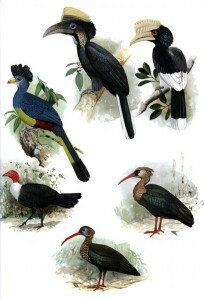 This entry was posted in 'Birds of Liberia', avifauna, bee-warbler, biodiversity, butterflies, butterfly, Choeropsis liberiensis, climate, fauna, fish, flora, Friedhelm Weick, Guinea, Hexaprotodon liberiensis, Ivory Coast, Liberia, mammals, Martin Woodcock, Monrovia, moths, ornithological paradise, pygmy hippo, pygmy hippopotamus, rainfall, rainforest, Sapo National Park, Sierra Leone, snake, snakes, tropical rainforest, West Africa, Wulf Gatter, www.telegraph.co.uk. Bookmark the permalink.